We have all read articles in Southern Living magazine, or Better Homes and Garden with beautiful gardens and a stone paths winding throughout an acre of green grass on a historical property. While that would be ideal for some, not everyone has the space, time or money to invest in a big garden. So, no matter the size, a garden can be beautiful, it just may take a little thinking outside the box. Just because the square footage of a garden seems small, doesn’t mean you have to have a “small” garden. Here are some tips for making a big garden out of a small space. Because of Ohio’s unpredictable fall and winter climates, it is generally the time of year when the gardening gloves are packed away and stored until spring. However, that does not have to be the case. Many leafy green vegetables can be harvested throughout the year, but more cautionary actions have to be made to keep the plants from dying during the cold months. Luckily, a greenhouse isn’t even necessary to keep producing crops through the winter! 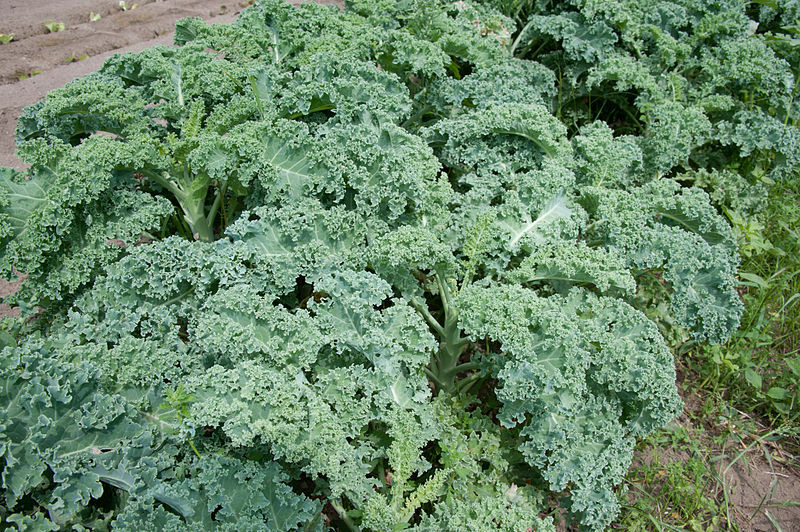 The most successful greens you can harvest in the cold include spinach, arugula, kale, and leaf lettuce. To retain as much warmth as possible in the bed, it’s best if the seeds are planted in a raised flower garden. The tight space can retain the heat in a smaller area per square foot. Each crop is different, but planting can begin as early as mid-August and go through October to yield crops during the height of winter. A key indicator of when the crops will be ready to eat is comparing the temperature in fall. A warm fall yields greens sooner, and a cooler autumn will delay the growing process. It is best to have some trial and error years until you can grasp the best growing conditions for each type of green. The key to crop survival is coverage. If you don’t have a green house, temporary shields are the path you will want to take. One of the easiest manmade covers is simply to place thick plastic sheeting over the entire bed, and secure it down with stakes or heavy rocks. Remember, the plastic must be able to be moved depending on growth area and to pick the ripe crops. Plastic can potentially harm the leaves of each plant so it’s important to make it a tent-like feature to hold the “roof” of the overlay high enough over the greens. The weather is the overall deciding factor on whether or not you will be able to harvest a steady crop throughout the winter, but it is not to be discounted, it is possible! We advise you to talk to greenhouse or nursery expert to decide which crops and growing technique will suit your needs best. Be sure to contact Jones Topsoil for all of your winter gardening, and spring planting needs! We work all year maintaining and caring for our gardens, so it’s important not to let all of that hard work go waste in the winter. While very few plants grow in Ohio in January, for the ones that do, it is important to take proper care so that once spring hits, you can easily jump back into it. At some point this winter, we will get our famous Columbus, Ohio snow that comes out of nowhere and hangs around unwelcome for weeks. That is the perfect time to care for your ornamental plants and trees. 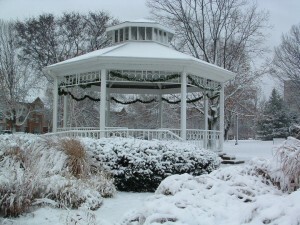 After the snowfall, dust the snow off of ornamental shrubs and bushes, and tree branches that can be safely reached. It is common for a branch or two to break during a storm, so it is important to get it pruned off immediately following a storm to prevent peeling or cracking further. Heavy ice is also something we often face in Columbus, and our shrubs and trees take the brunt of it. As tempting as it is, don’t pull icicles or break ice off of leaves or branches. The plant is highly susceptible to breakage when covered in ice, so it is best to let it melt off naturally. As fun as it is to sled down the big hill in the back lawn and run around in the fresh snowfall, it could actually be damaging the ground underneath. Traction tears the healthy grass out from the soil causing patches of bare areas. It is important to be cautious of the foot traffic on the ground when ice and snow are covering it. As an alternate, use sand, birdseed or sawdust to help gain traction overtop the ice on the path leading to the house. For more information about protecting your garden in winter, more winter gardening tips, or to plan your spring planting and gardening, contact the professionals at Jones Topsoil or give us a call! We are here for all of your soil and gardening needs. Winter in Ohio can be rough for gardeners. The itch to work on the garden is made difficult by all the freezing air and snow. However, winter gardening isn’t impossible if you have the determination. One perfect plant for winter gardening is the amaryllis. Amaryllis is perfect for the dull winter gardening months. One reason for this is that amaryllis doesn’t stop growing once it’s planted so you stay busy with it the whole time. Also, it doesn’t require a lot of sunlight; just keep it in a place that receives some throughout the day. Another reason is that amaryllis only has to stay above 60F (but warmer is better). Make sure you use a large container. Amaryllis grows large blooms that can be top-heavy if you don’t plant it in a container with a large base. In addition, some sturdy sticks will help to keep the plant from growing sideways and keep it nice and straight. 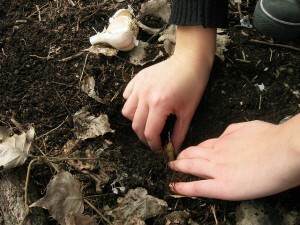 First plant your bulb in potting soil and pack the soil so that one-third of the bulb remains above the soil line. Place it in a location that gets sunlight and water it sparingly until you see about 2” of growth. Then, you’ll want to water it more regularly. Remember to turn the plant every so often so that it grows straight. It only takes 5-8 weeks for amaryllis to bloom so you can have some beautiful flowers during the cold winter months in Ohio! To cut amaryllis and make a pretty display like the picture above, cut the flower stems when the first bud is just ready to open and place it in a sturdy vase. Change the water regularly and remove flowers as they fade. Your cut amaryllis should last for up to 10 days if maintained well. If you need topsoil or mulch for any of your winter gardening projects, feel free to contact us. We would be happy to serve you in any way possible at Jones Topsoil! Winter always comes too fast and that means you need to start making garden preparations sooner rather than later. Winter poses some challenges to home gardens if you are in a cold climate. There are some precautions that you can take, though. You might think winter is a strange time to be using mulch, but there are actually a few different ways to utilize mulch in the winter to protect your garden. To protect plants from freezing temperatures and save them from dying, you can insulate the ground to trap some warmth, just as you would inside your home. Snow surprisingly acts as a good insulator for plants in the ground and serves as a buffer from the freezing air to the roots below ground. However, if there isn’t much snow, but temperatures are below freezing then mulch can work as an extra layer of insulation. To figure out how much mulch you need, you first need to know how deep the roots of your plants are. Then mulch enough so that the root length plus your mulch height is greater than the frost level. Another nifty use of mulch in the winter is to protect roses. If you have rose shrubs, find a small cylindrical enclosure (a wide, but short piece of PVC would work), place it around the roses and then fill it with mulch to insulate the flowers. You can use mulch similarly to protect the crown of roses or the canes of climbing roses. Winter mulching, or otherwise, Jones Topsoil has you covered for all your topsoil, mulch, gravel, limestone, or sand needs. We’ll deliver your order right to your home. Just contact us anytime and we’ll be happy to serve you in any way we can! Fall is just around the corner and with it comes leaves changing color, nice cool weather, and fall gardening. The imminent frost of October means that there are not many things to plant in September, but it is still a busy month for fall gardening. This article will run through some fall tips to keep your home garden active even in the fall. Fall is not the most popular season for planting, but there are still some things you can grow to give your home garden some variety. Oats are a good, inexpensive choice. They are quick to establish and leave a good killed residue for spring when they die. 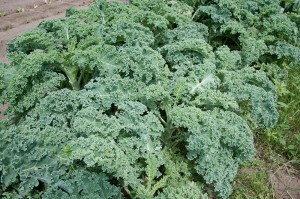 Cabbage, lettuce, and radishes are also vegetables that grow well when planted in September. Harvesting your summer vegetables is the biggest task during the fall. Green tomatoes, pumpkins, sweet potatoes, and squash all need to be harvested in the fall. Make sure you know the optimal time to harvest for each individual vegetable in your garden as each has different times that are best. You will also want to transplant herbs to pots for indoor use in the winter or harvest them for drying or freezing. Fall is also the time to bring houseplants back inside. Be sure not to wait until it gets very cold to bring them inside, as a sudden change in temperature from outside to inside is not ideal. 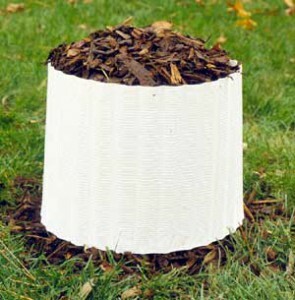 Also, fall is a good time to add manure, compost, or leaf mold to improve garden soils. Fall is a busy time for home gardeners, but it is exciting too. Enjoy the vegetables that you worked on growing during the hot summer. Embrace the cool fall weather and finish your gardening before the cold of winter sets in. And don’t forget that we have you covered if you need any topsoil, mulch, sand, gravel, or limestone to complete your home or lawn before the winter months. Sometimes you can end up with more tomatoes, cucumbers and zucchini growing in your garden than you can eat, can or freeze. Then what do you do? Below are some ideas of how to use your extra vegetables in a beneficial way. There are many online resources for trading or donating your excess vegetables. A great website for donating extra vegetables is AmpleHarvest.org. Ample Harvest is committed to providing fresh foods to those in need. Check out their website to find out how you can help. Another great site is VeggieTrader.com. Veggie Trader is a free resource that allows you to connect with other gardeners to trade or sell your vegetables. You can also sell your excess veggies on craigslist.com. Having a large amount of a certain vegetable is a great way to venture out and try a new recipe that features those veggies. Cooking Light has some easy and delicious recipes. Midwest Living, also has some great recipes as well. 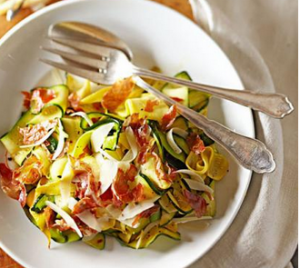 Squash Ribbons with Parmesan and Crisp Prosciutto, is just one example of the decadent recipes to try. You may find your new favorite dish and have your extra veggies to thank. Giving your excess vegetables to neighbors is a great way to make new friends and create a positive relationship with those living around you. Typically, your family or friends are happy to have some fresh grown veggies. In order to maintain a healthy garden it is important to have rich soil to encourage growth. We offer SuperSoil, which is our special landscaping blend. This soil is perfect for vegetable gardens, flowerbeds and all your landscaping needs. To order your SuperSoil today give us a call at 1-800-JonesTopsoil or visit our SuperSoil page. It’s the middle of the summer and temperatures are starting to rise and hopefully all your plants are growing as well. It is important to maintain your garden and not let all your efforts of planting and weeding go to waste. Below are some tips to keep your garden in full bloom during July and into the fall. Water: Water thoroughly once or twice a week rather than every day for only a few minutes. This encourages plants to put down roots in search of water rather than coming up to the surface. Don’t forget about your containers and hanging baskets, which do need watering every day and sometimes twice a day if it is hot and windy. Harvest vegetables: Pick your vegetables during peak/harvest time rather than leaving them to become bitter tasting and turn bad. Also you can recycle excess vegetation you do not want to eat or store in your compost heap. You can limit tomato growth by pinching out the growing tip of your cordon tomato plant. 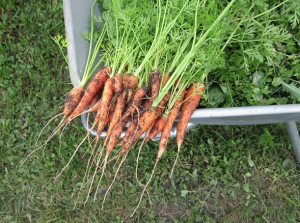 If you are planning on planting more vegetables in July, we recommend carrots, lettuce, radishes and runner beans. Maintain flowers: Trim down early-flowering perennials to the ground and they will produce new leaves and maybe even surprise you with some late-summer flowers. Give them a lift after pruning with a good watering and some tomato feed. Don’t forget your plants in containers! These plants rely on you for water and they’ll get little benefit from the rain. Water your plants at least once a day, while its sunny. Control pests: Pests love warm weather. 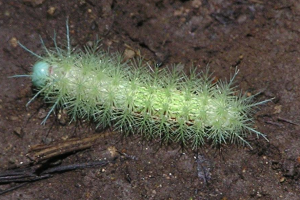 Caterpillar and aphid infestations can be dealt with by hand if caught early enough, but should the insects demand to stay you can use insecticides to get rid of them. Greenfly and blackfly particularly love the heat, as well as aphids and other sap-sucking insects can spread viruses. Try to attract beneficial insects by growing a wide variety of plants – ladybirds and their larvae are consummate aphid predators, as are lacewings and even wasps. 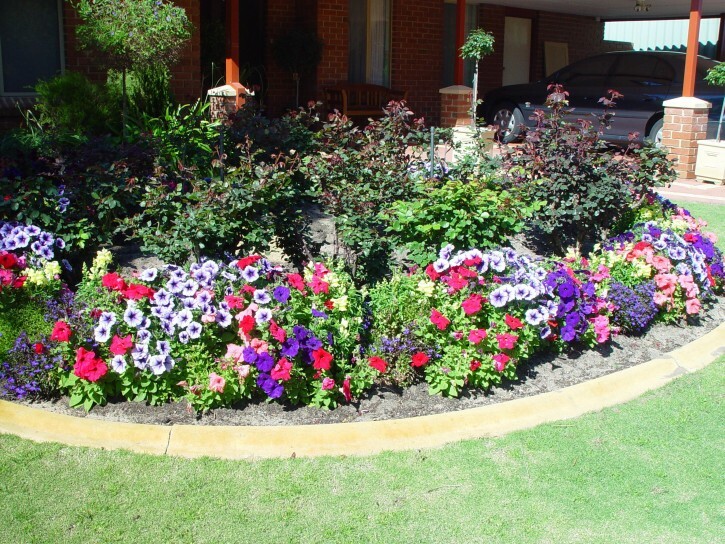 We understand the time and diligence it takes to maintain a beautiful landscaped home. We want to provide you with all the materials you need. Rather it’s soil, mulch, sand or even gravel we got you covered. For more information about our products give us a call at 1-800-Topsoil or fill out our contact form! We would love to answer any questions you may have. Are you thinking about growing a garden this year? There are several things to consider before you start planting. What plants or vegetables do you want to plant? What type of soil should you use? One thing to consider is building raised garden beds versus planting on the ground. Raised beds provide nutrient-rich soil, less back strain for gardeners, more control over weeds and pests and increased plant growth. Spring is just around the corner and it is time to start thinking about what type of flowers you want to plant. There are so many options to choose from and it can sometimes be overwhelming. We have created a list of some beautiful spring flowers that are easy to plant and manage while adding beauty to your home.